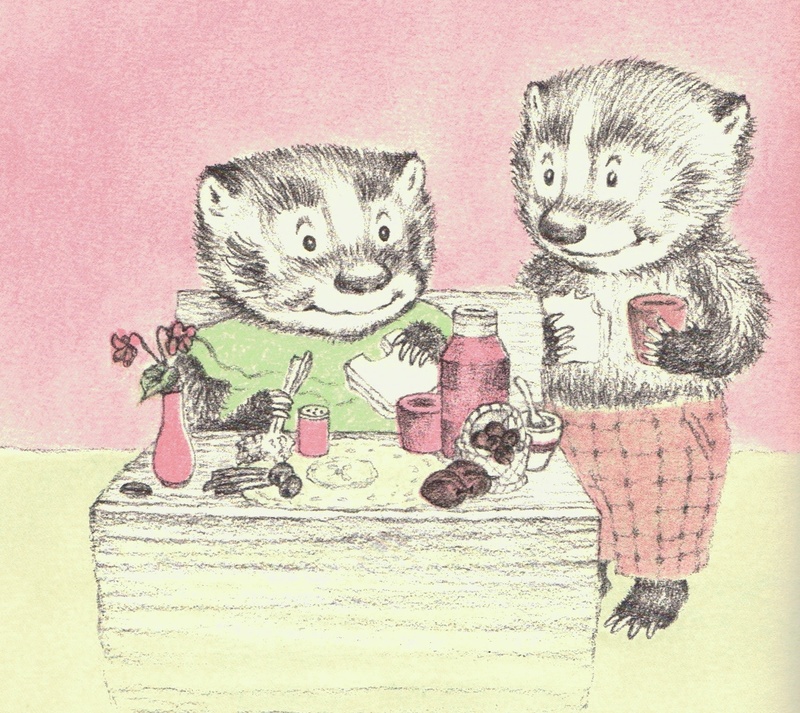 Published in the early sixties, Russell C Hoban wrote seven picture books about a precocious badger named Frances. I remember these books from my childhood, in the same way I remember Winnie the Pooh. There was always a Frances book around somewhere. I could very much identify with her and sometimes I was a bit jealous of her- But Frances, I knew would not hold that against me, because we were very much alike. Except, I think, she is much more clever than I am. If you have ever met a strong willed and highly intelligent kindergartner, you have met a child just like Frances. I can almost hear her mind ticking as she thinks through problems and develops her own ideas. Have you ever heard that ticking sound with your child? You know that sound, it's the thought process that brings them to a perfectly logical response to something you have said and done. Like when you tell the child not to pick the "green" tomatoes, so she goes out and finds a "yellow/orange tomato." Because, what you should have said was, "Don't pick tomatoes that are not ripe." 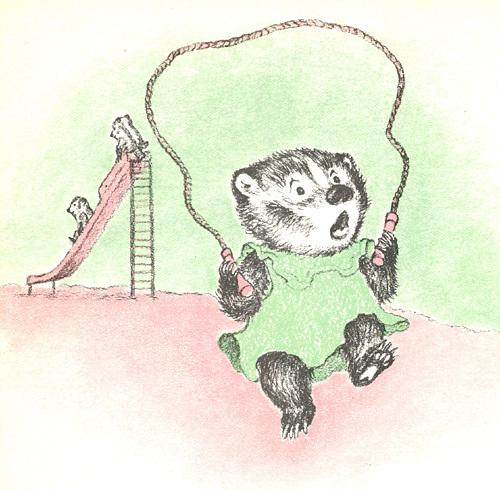 Author Russell Hoban allows the little badger girl something I don't see very often in current children's literature. Frances, true to being a young child, is a little bit selfish. Instead of being a negative thing, I love her more for this. Anyone who has ever been around children realizes they are not born empathetic, broad minded creatures - today's society expects children to be naturally loving and compassionate to all living beings while forgetting the life lessons that teach such traits. Frances acts just as a child would act, while her parents act just as they should, with wisdom, patience and clear boundaries. In the book "Bread and Jam for Frances," Mother serves breakfast for the family and Frances decides she doesn't like eggs anymore. Naturally all the talk about eggs in the story made me want eggs along with some bread and jam. Frances parents don't argue with her food choices, instead they let her live with the consequences. Now I know parents who have had food troubles with their kids. I actually live with some picky eaters who develop new smell and texture issues on the daily basis. Sometimes the problem is not as resolved as quickly as it is for Frances. However surprisingly, sometimes it is. Illustrated by Lillian Hoban, the Frances books have a sweet continuity of color and style. She used soft pastels and details that perfectly match the writing. France's world is slightly old fashioned, I imagine they are more like my mother's childhood than mine, which for me is another positive. I highly recommend all the books. Bread and Jam for Frances is a good bedtime story, with a decent length, great little poems, and an engaging story. It would also be great coupled with lessons about food and trying new things. 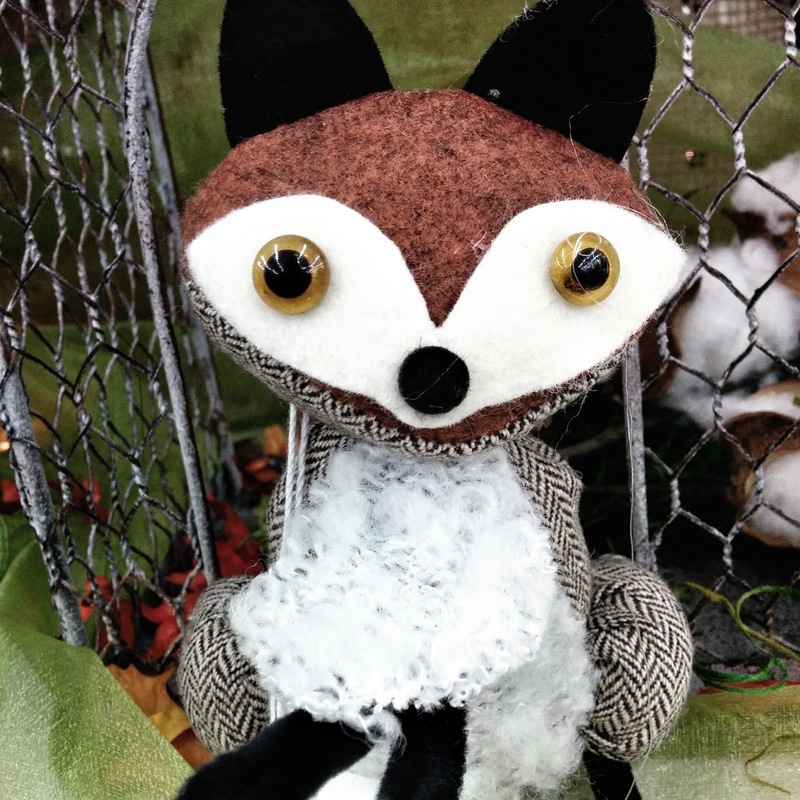 Nannies (and parents) might want to use the story as a starting point for time in the cooking kitchen where kindergartens help prepare a special egg breakfast, or pack a lovely special bento box. One of the keys to having kids try new things is having them prepare it with an adult. Frances just might provide a little inspiration. Frances is a childhood friend of mine that I shared with Sweetums!